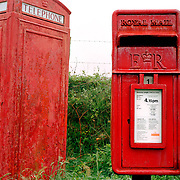 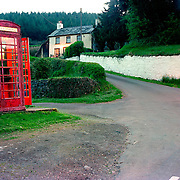 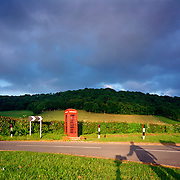 One of the things that amazed me when I first went out into the Welsh countryside was the sight of phone boxes in the middle of nowhere. 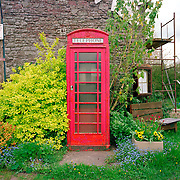 Coming from a country were phone boxes are usually placed in urban areas or near archaeological or other tourist sites, I was impressed by the variety and remoteness of the Welsh locations. 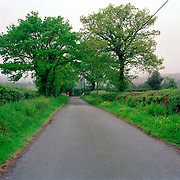 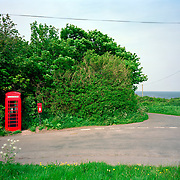 The dazzling red of the K6 is a strong contrast in the green sea of the Welsh landscape - like a light house of communication in the wild sea of grass and trees. 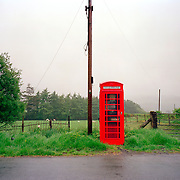 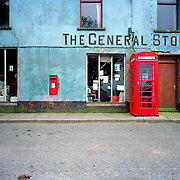 From Hay Bluff to Coder Idris, phoneboxes decorate the Welsh landscape. 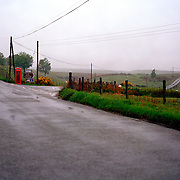 When I photographed some of those very far away from houses, farms or villages, I began to wonder how many phone calls are made from them each year. 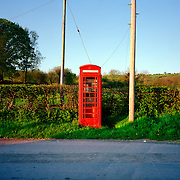 Furthermore, I wonder for how many more years those phone boxes which are, in one way, the trademarks of the 'old Britain', will continue to exist. 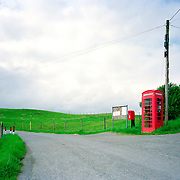 So considering all these elements, l decided to document phone boxes in the countryside because I feel that, as a sign of the old times, they are, inevitably, going to disappear under the pressure of the new age. 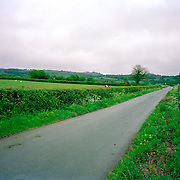 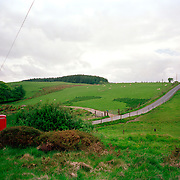 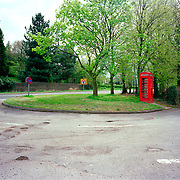 This project was made in spring 2001 using a 5x4 camera. 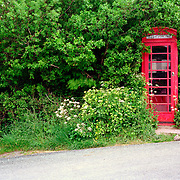 I am wondering how many of those still exist.